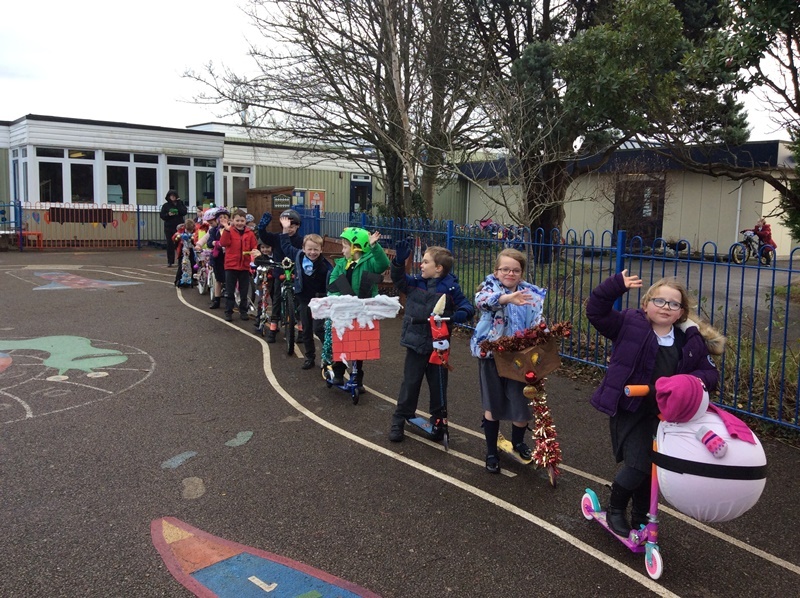 They had covered their bikes or scooters in tinsel, baubles, foil, Christmas lights and other things to make them look ‘Christmassy’. There was even one that looked like a snowman! 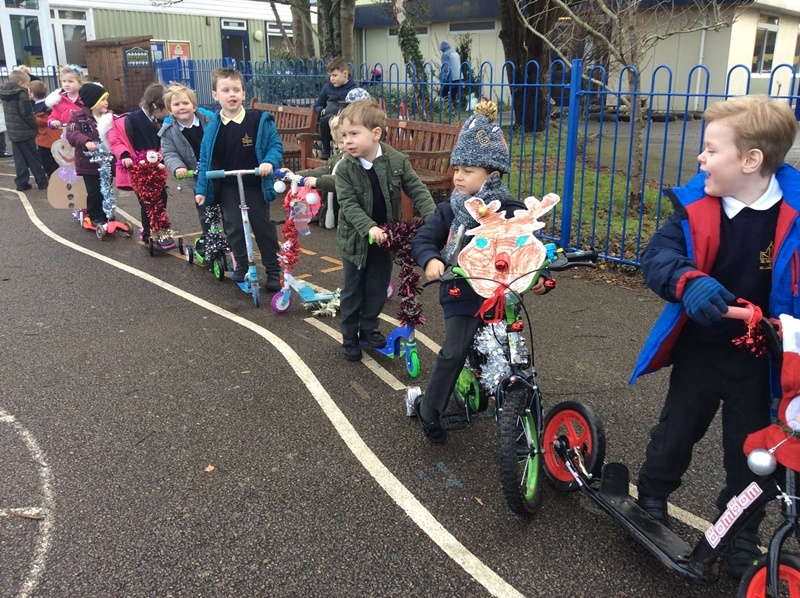 Every year group had a parade around their playgrounds with their ‘blinged up’ bikes and scooters while the other children cheered them on. 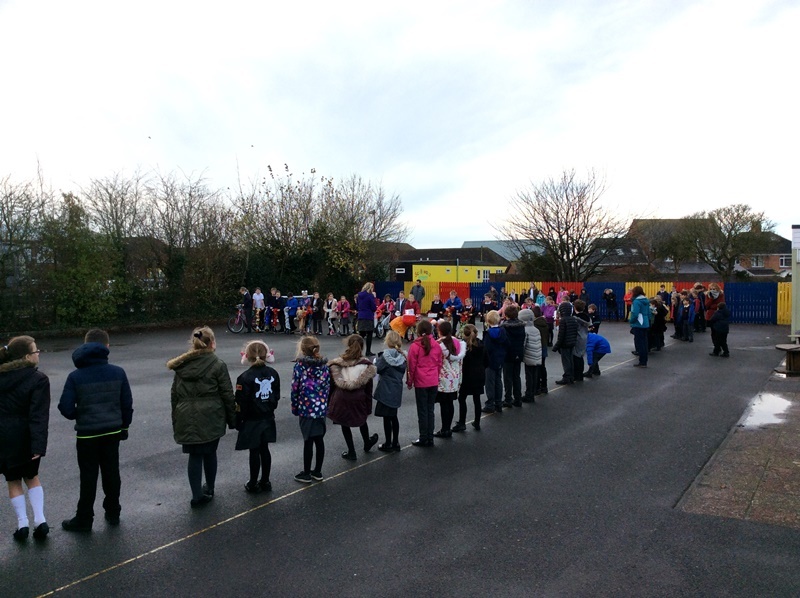 The grown ups chose the winning designs and gave out lots of prizes including; “stay safe” bags, reflecting slap bands, bike and scooter lights. 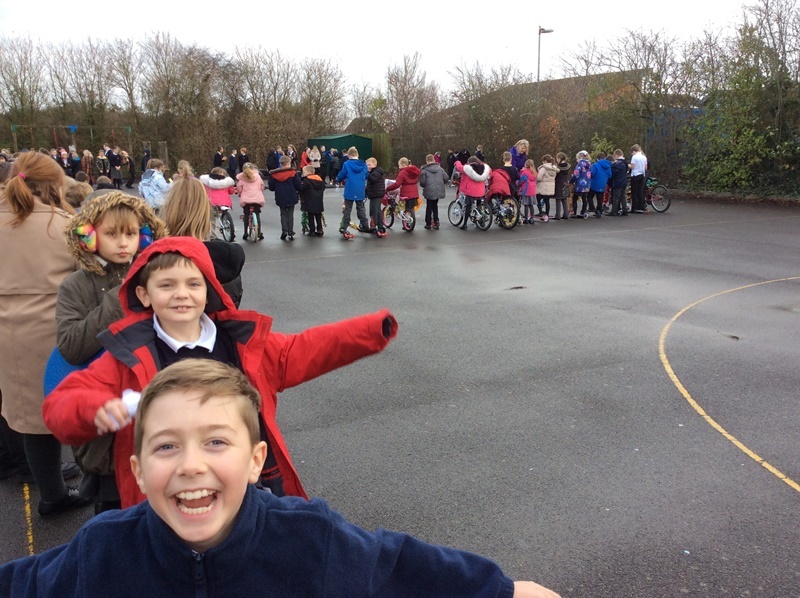 This day encouraged us to be healthy by riding our bike or scooter to school rather than coming in a car. It also helps the environment too. 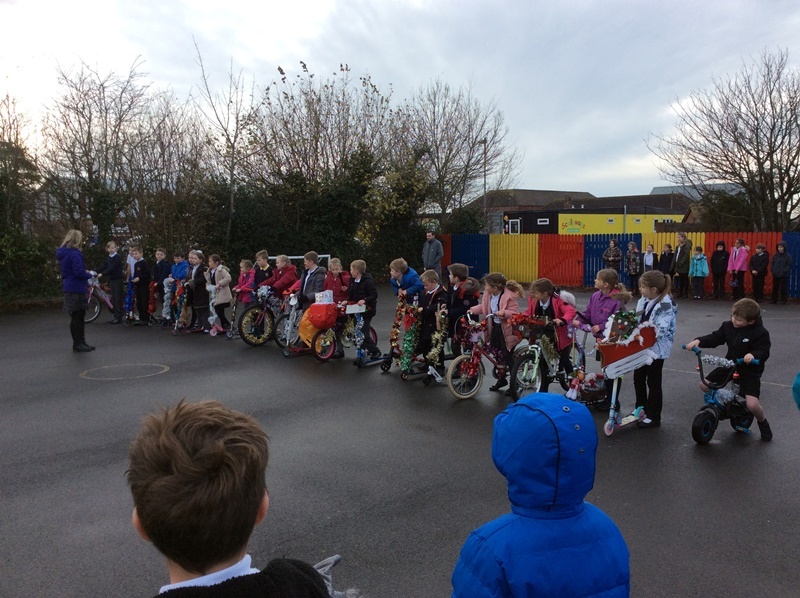 We hope to run another Bling Your Bike day in Spring. Look out on the app for more details. 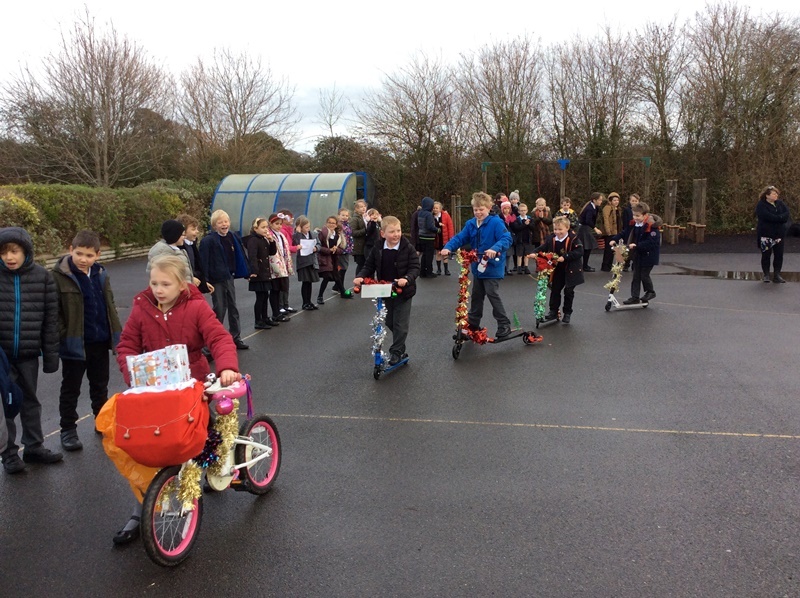 Many thanks to Jonathan from Sustrans for donating prizes and well done to everyone who ‘blinged’ their bike or scooter.